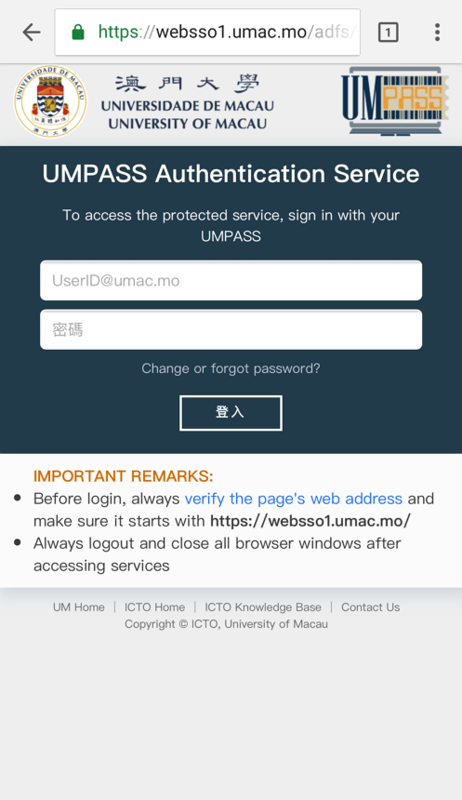 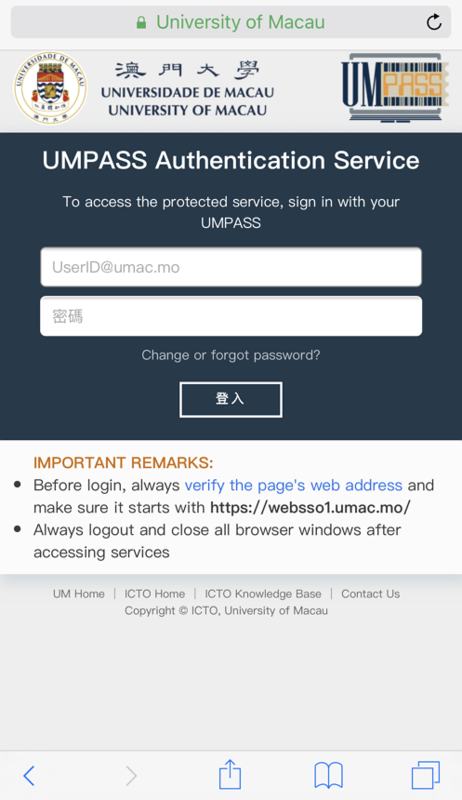 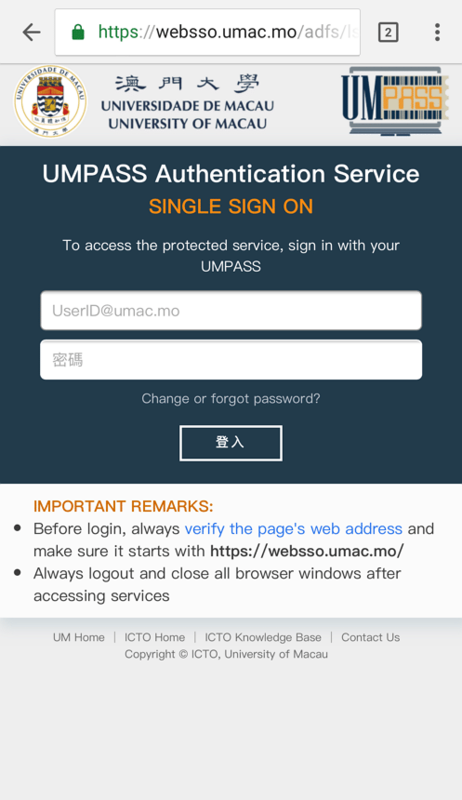 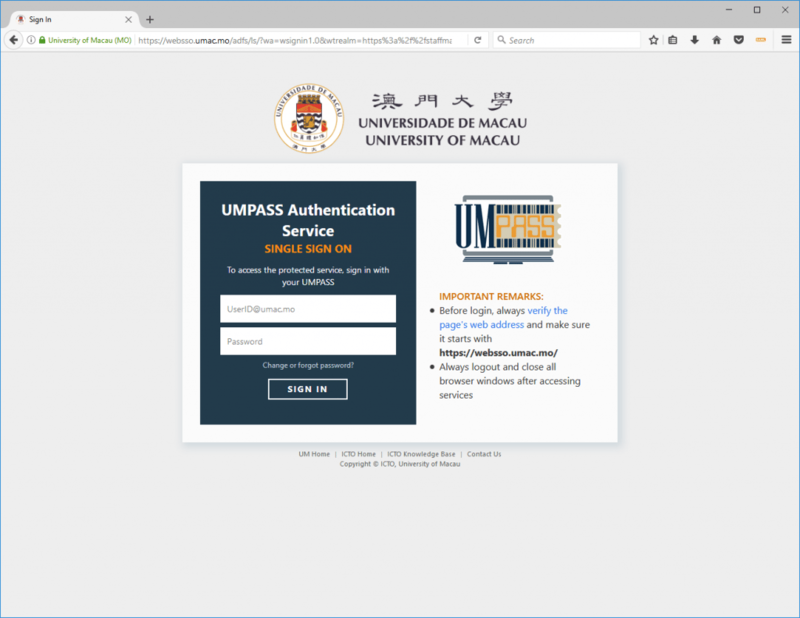 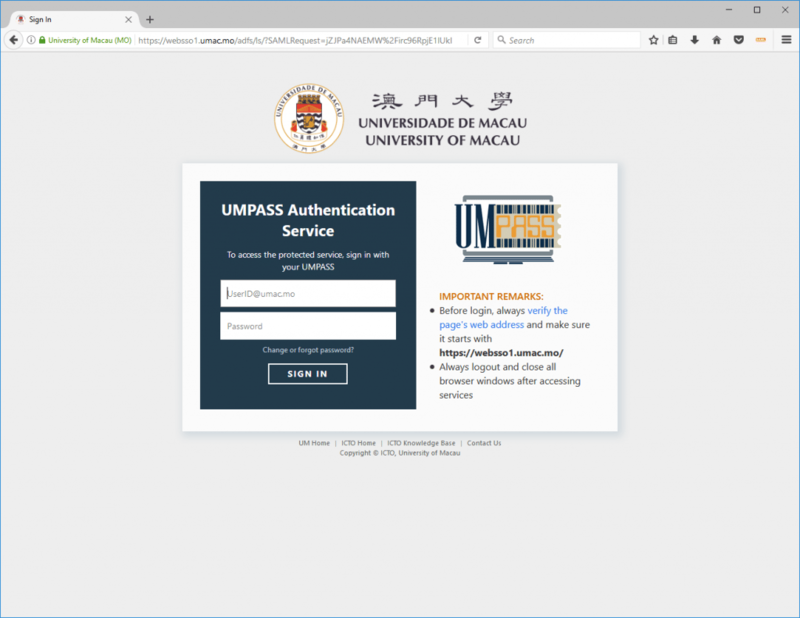 ICTO - FAQ » UMPASS Authentication Service » How can I verify the authentication page is secure? You can also see a padlock symbol next to the address bar. 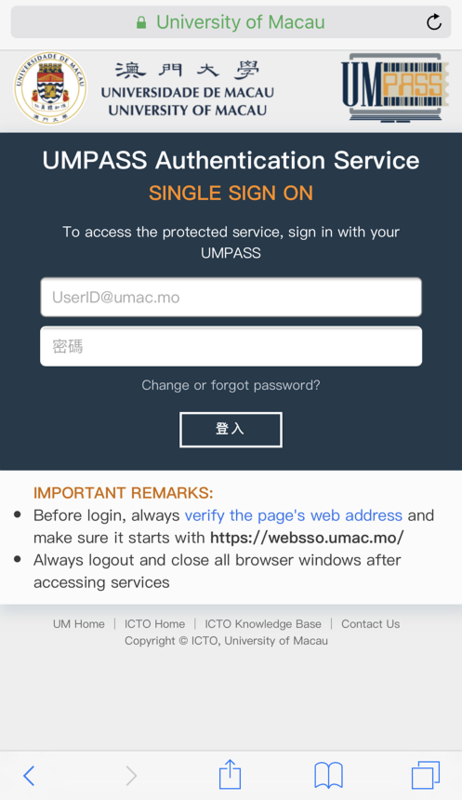 Sample Screenshots for https://websso.umac.mo, there is a “Single Sign on” wording highlighted with orange in the login area. 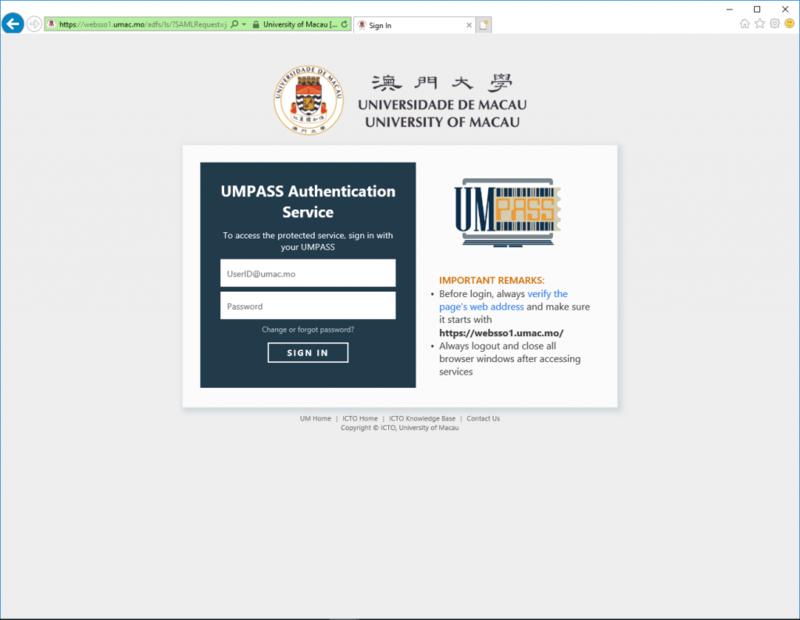 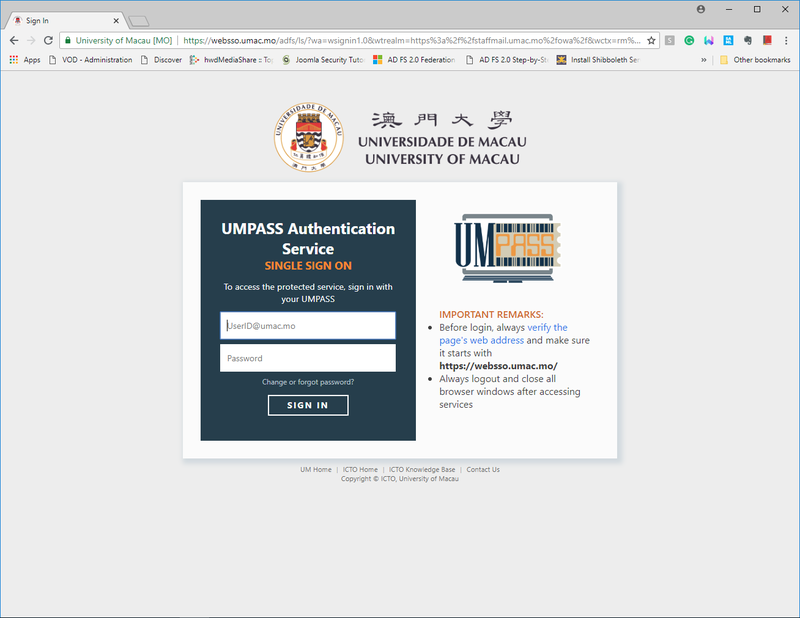 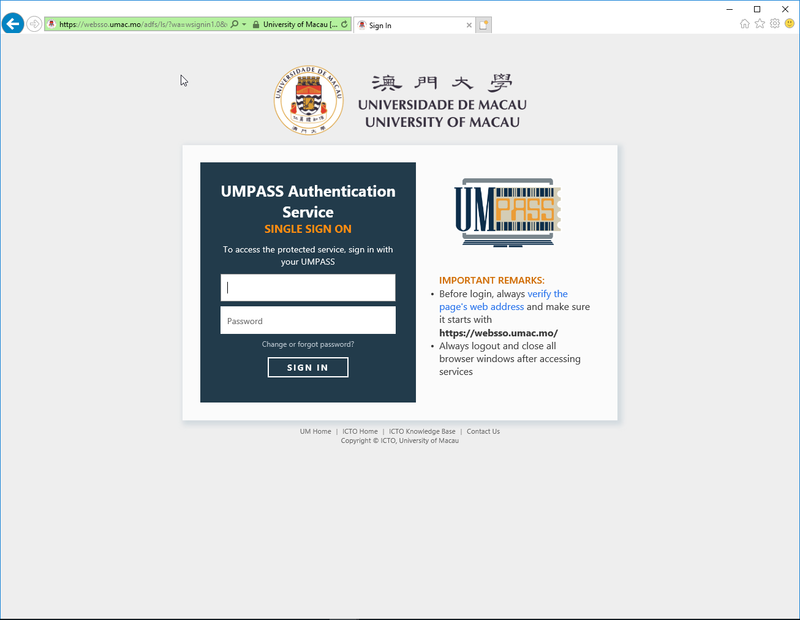 For some browsers, the word “University of Macau [MO]” will be shown in the address bar.